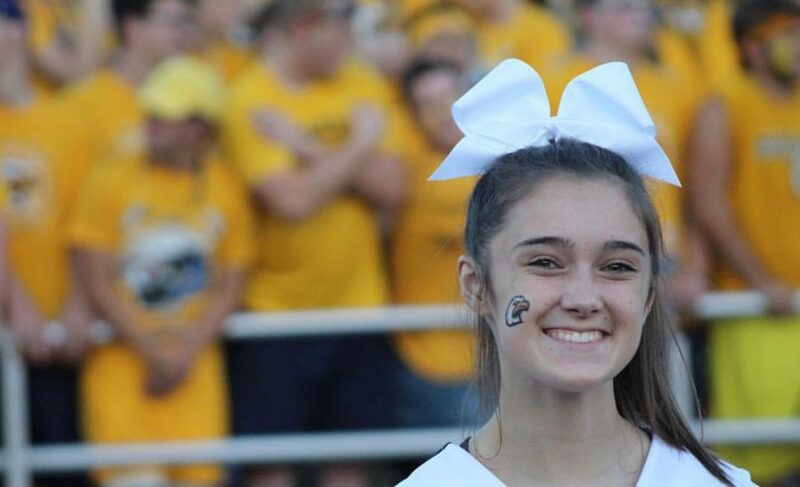 The Liberty North Cheer team has had a year full of stressful changes that have unfortunately ended without their usual advancement to the state competition. Many cheerleaders, especially seniors, have expressed their frustration at the unexpected changes that the 2018-2019 season has brought. The team has faced a handful of challenges, such as cheerleaders leaving, as well as two coaches. “Basically both of our coaches quit, so we didn’t have a head coach anymore and we only had one [varsity] assistant coach, but we normally have two. Then we also had two flyers quit, so that made it really difficult because there were a lot of changes and a lot of work that had to be done in a really short time to make sure that we were prepared for state,” Cheer Captain Jillian Shepherd said. The North cheer team lost their Varsity Assistant Coach Sullivan after she was offered a new job. Coach Garton, who was a junior varsity coach, stepped up to take Sullivan’s place as assistant varsity coach under Head Coach Baker. Later in the year, Coach Baker also resigned and Garton has taken on her role as well. “There was a big parent meeting held one night. We had to go up to the cheer room with one of the JV coaches and all the parents were downstairs with Baker, Dr. J, and Kernell. Apparently, there was a discussion about how we weren’t competing anymore because Baker was resigning, which was our head coach,” senior Cheerleader Cassidy Norris said. Despite Baker’s resignation, the cheer team continued to practice and improve their skill, although going to state was no longer an option. However, the team kept practicing on cheers for school to continue spreading eagle pride. “We aren’t going to go to state because Garton hadn’t been there for the preparations for the routine. We sort of just stopped working on [the state cheer routine] and our practice schedule went down to two days a week. Then we started just working more on our school cheers instead,” sophomore Lauren Thompson said.